Below is an interview with David Cruickshank programmer of classic games including Alien Fish Finger, Hydrozone and Wired Chaos. David's games are held in high regard by AmigaPd and there is excitement around rumours of an Alien Fish Finger update. Here at AmigaPd we are excited by the news of an updated version of Alien Fish Finger – can you confirm whether this will be public domain / shareware or licenceware? I plan to do something different with this game. Instead of just giving it a way; I thought instead I would change it from Shareware to Charity-ware. Don’t worry, I still have plans to release it as the full version, and you are under no obligation to donate, but thought it would be a nice thing to do. When the game is finished I’ll put the download link on this charity page that I have set-up at http://www.justgiving.com/AlienFishFinger. It’s for Cancer Research. For those unaware of your work – what is ALIEN Fish Finger? It is a little platform game set on an Alien world with you in control of some hero type dude called Frank Finger on a mission to save Earth from the deadly clutch of the evil Aliens (I never did give the Aliens a name) :). The game was set loose late 1995. Which programming language did you use to create the game? It was written in Blitz Basic II. For a basic programming language this was very powerful for it's time. It sounds as if you are a traditional bedroom coder – did you get any help on any aspect of the game? Yes, you could say. I had a small amount of help from friends that I had play my games for feedback on different aspects of my game, but other then that I can say I pretty much did everything myself from the design up. Which features of the game are you proud of? The enemies turned out quite well. They are not the smartest of creatures, but they still give the player a lot of challenge and fun. They behave sometimes in a humorous way, and show a lot of character. They are the heart and soul of the game, so it's something I'm happy I got right. Programming them to lose their guns when shot and then to re pick them up again was hard to programme but I'm glad I stuck to it and did not give up on the feature as that added a lot to the game. Which features took the most time to complete? 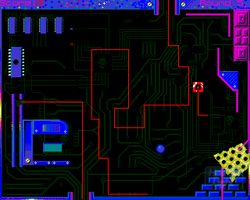 The map editor took awhile to program, but once finished I could start building the levels. 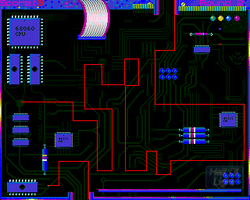 I first drew the smaller map objects in D-Paint 4, and then used the map editor to join them all up. Because the game does not scroll I was not restricted to having to place the graphic objects in a grid type pattern, I could place them anywhere I wanted. I could even place objects on top of each other if I wanted (saucy ). 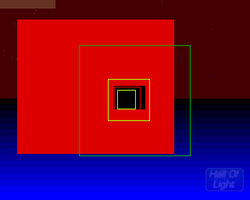 The collision detention layers were also added too, along with the Enemy placements. Enemies, I could choose whether to be on screen already when the player enters, or have them enter after a set time limit. 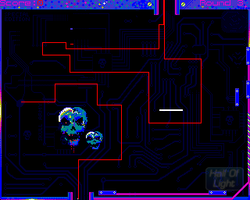 The game reminds me of Exile on the BBC Micro in terms of realism – how did you create this sense of a real world environment? Very early in the development I had in place some nice real time physics on flying objects, such as throwing a grenade. Gravity, air resistance, and even terminal velocity affected them (ohh how nerdy do I sound? ). I managed to also get them to bounce off walls etc. I used the same routines on flying dead enemy bodies too (yuck). 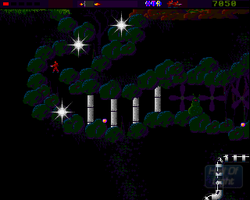 The gravity is low on this Alien world, which is the reason the guy can jump 2.5 times his height. Where did you get inspiration from for your games, and which genre of games interest you as a programmer? I played a lot of games both in the arcades and on my home computer. A game I played a lot was the arcade game 'Starwars'. Game-play wise I borrowed a lot of ideas for my game 'HydroZone'. 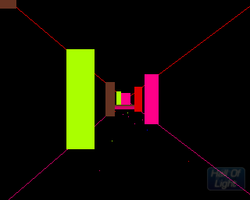 I like the 3D type tunnel game play. 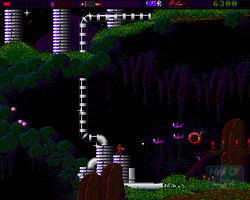 I loved playing the Turrican games on the Amiga. 100% action shoot-em-up. My 'ALIEN Fish Finger' game shared the same 'Shoot or Die' type game play. Each game I wrote could not have been any more different from each other however. How successful was 'ALIEN Fish Finger'? I was never really sure how well it was liked or hated. Back then I never had Internet. I never had that many people registering for the full-enhanced version. Had a few nice letters from people. It was a time when people were selling their Amigas and buying Playstation I guess. As I later found out when I got internet, finding the full version on every Internet bulletin board I guess did not help with sales too :o. Has the game been improved since its original release? The game was given a bit of a face lift a year or 2 after the first release in the sound FX department plus some other small stuff and fixes. Screenshots taken from Hall of Light website. David also programmed Hydrozone. 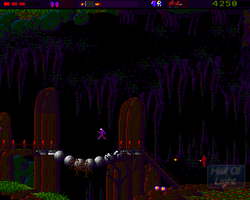 Screenshots of this game are shown below. David also programmed Wired Chaos. 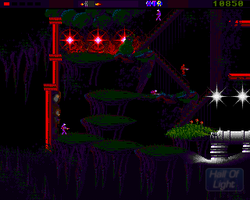 Below are screenshots of this game taken from the Hall of Light Website. What features have you added to the latest release? I have some nice things in store. I am taking the "If it ant broke don't fix it" approx, but I have found many ways of improving it. One big enhancement is the addition of Stencil/masking. 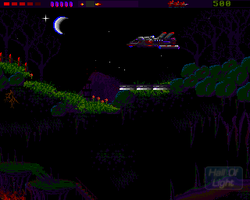 This allows player and enemies to appear behind foreground objects that I choose, such as fences and trees. This is so to created a sense of 'depth' to the maps. It’s nothing new in other games, but 'ALIEN Fish Finger' never had this new feature. I re-coded my home made Map-editor and added these stencils to all 100+ screens of my game. I had to be thoughtful where to put foreground objects. No good the player walking through an area where he cannot see him/herself and then get shot while not being able to see a bullet coming etc. The white areas are the Stencils. This took a while to do, but happy to say stencils are now all finished. Added more sound FX (still no music sorry). UFO’s now sound very nice. 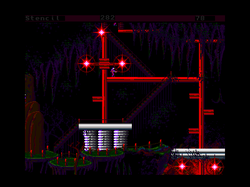 Added 1 or 2 new screens + secret hidden areas too. What the reasons behind not including in game music with the latest up date? Are there any features you want to include but haven’t been able due to memory or hardware limitations? 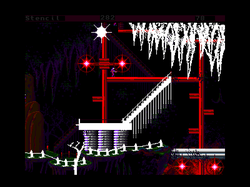 I needed to tone down the new rain affect that I have in place on some of the outdoor levels on an Amiga A500/A600 too. 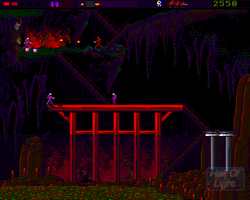 An Amiga A1200 is the computer to have to play my game to it's fullest. What would it take to encourage you to make a sequel? A lot, to be honest. The amount of time that is required to make a full game is incredible. I seem to have too my other distractions all the time these days. I'm also not as young as that early 20's wiz kid I used to be, too. shhh :). Having updated your previous games and now ALIEN Fish Finger what future projects do you have planned? I don't have too many plans at the mo. ALIEN Fish finger is the last game that I have got left to update and re-release. 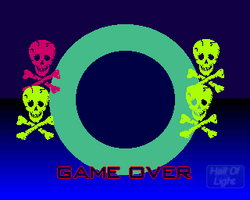 I've thought of maybe buying 'Blitz Basic 3D' on the PC to give that a play with, but I have not really got clear set goals in mind as of yet. 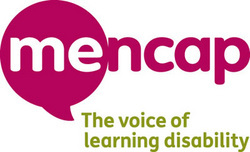 We hope you enjoyed reading David Cruickshank's interview - remember AmigaPd is charity ware - please visit our just giving page to support our chosen charity Mencap.